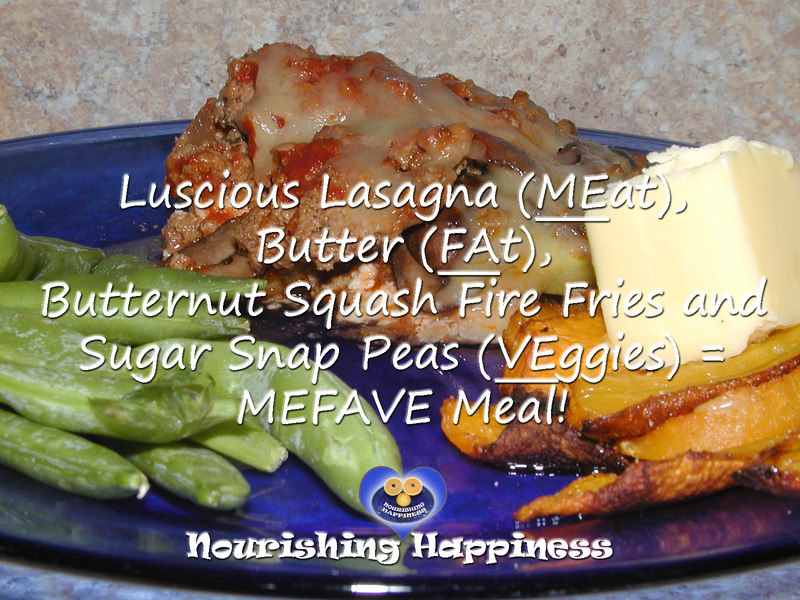 Healing your gut the GAPS™ friendly way is easy with MEFAVE meals and FAVE snacks. 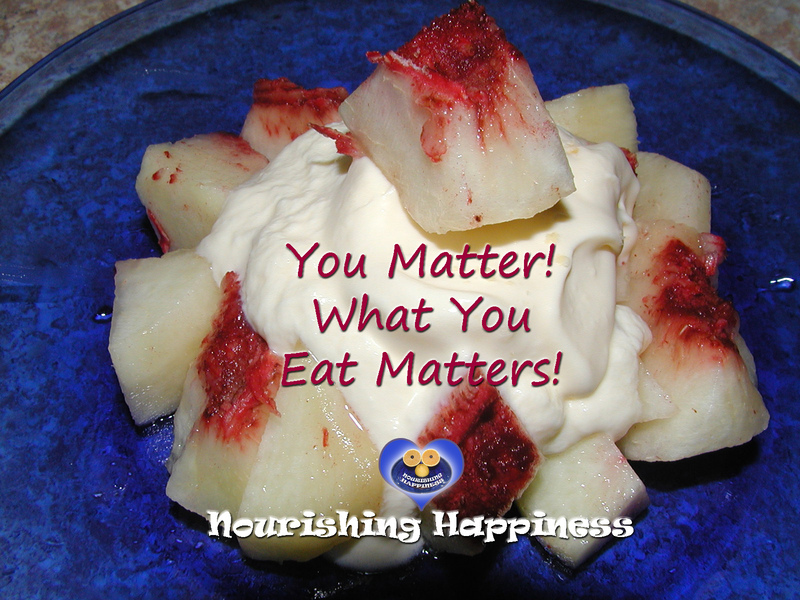 Healing the digestive system with nourishing food, naturally treats many mental and physical illnesses. That’s it! Remember MEFAVE and FAVE every time you eat! No elaborate meal plan necessary! Need a bit more information? Keep reading! DO: Eat all the quality meats, fats, and veggies you want. Fats don’t make you fat. They make you happy, healthy, and full! DON’T: Count calories or limit fats or eat factory fats like margarine, canola oil, corn oil, etc. DO: Eat almond and coconut flour baked goods. DO: Sweeten your life with raw honey. DON’T: Eat sugar or artificial sweeteners. DO: Eat 24 hour fermented dairy. DO: Eat food as straight from the source as possible. DO: Think of veggies first, followed by fruits and nuts, when you think of carbohydrates, instead of the iconic carbohydrates of bread and pasta, or other grain products. While VE of veggies works better than CA of carbohydrates in the MEFAVE acronym (MEFACA and FACA sound unappetizing to say the least), it also triggers the thought of preferred lower glycemic vegetables. Fruits and almond flour baked goods are higher glycemic occasional treats. DON’T: Think it’s odd to lump nuts in with the carbohydrate category. Nuts contain all three macronutrients – proteins, fats, and carbs. They had to go somewhere and almond flour baked goods seem much more carb-like. DO: Add fat to your fruit or almond/coconut flour baked good snack to slow the release of glucose into your bloodstream. 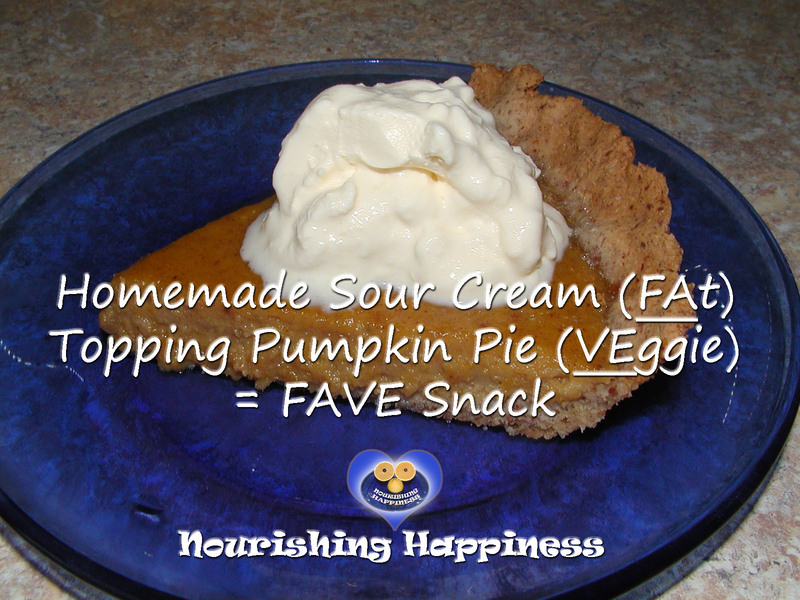 DON’T: Laugh like my kids do when my FAVE snacks are often a fruit (not a veggie) with homemade sour cream dolloped on top for the fat. Like FACA, FAFR seems awkward. DO: Use MEFAVE acronym when dining out. My favorite restaurant MEFAVE meal is a burger without a bun. DON’T: Be afraid of socializing at eateries. MEFAVE and FAVE combinations offer infinite possibilities. For the occasional potluck or family gathering, you can take your own food. 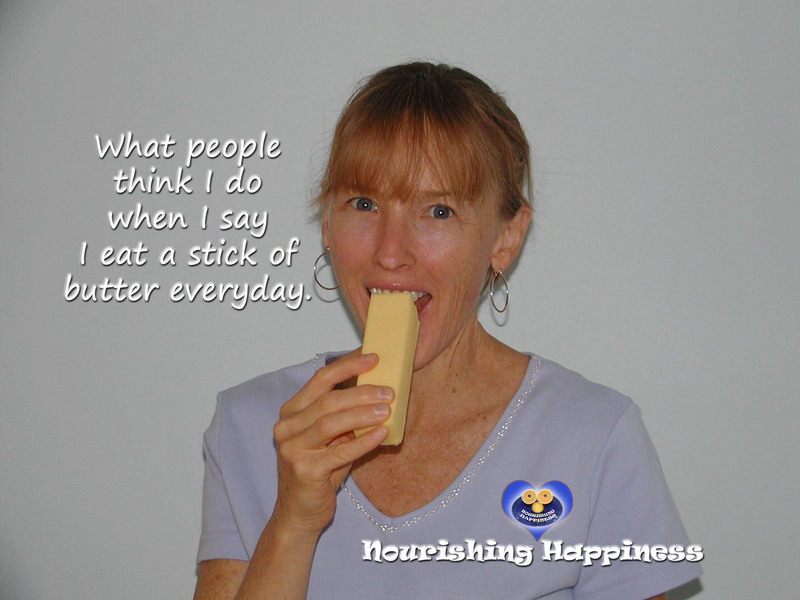 DO: Read articles about the health benefits of diets high in saturated fats and low in starchy carbohydrates to be able to educate the often well-meaning skeptics and critics in your life. Here are a few good ones! DON’T: Be afraid of fats and cholesterol. Cholesterol is a healing agent! DO: Watch the documentary, Fat Head, suitable for the entire family. Then watch the short Fat Head Followup. 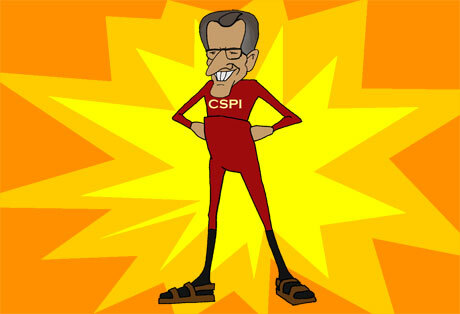 DON’T: Wear socks with your sandals like the Guy from CSPI! Ever! DO: Infuse your diet with healing broths, fermented dairy, cultured veggies, and juicing! DON’T: Be afraid. My videos show you how! DO: Watch NPR’s The Invisible Universe Of The Human Microbiome animation to learn the importance of probiotic foods. DON’T: Be too concerned if you can’t fathom that we are 10 times more the creatures that live in and on us than we are actually ourselves, because I can’t either. DO: Be an advocate for your health. 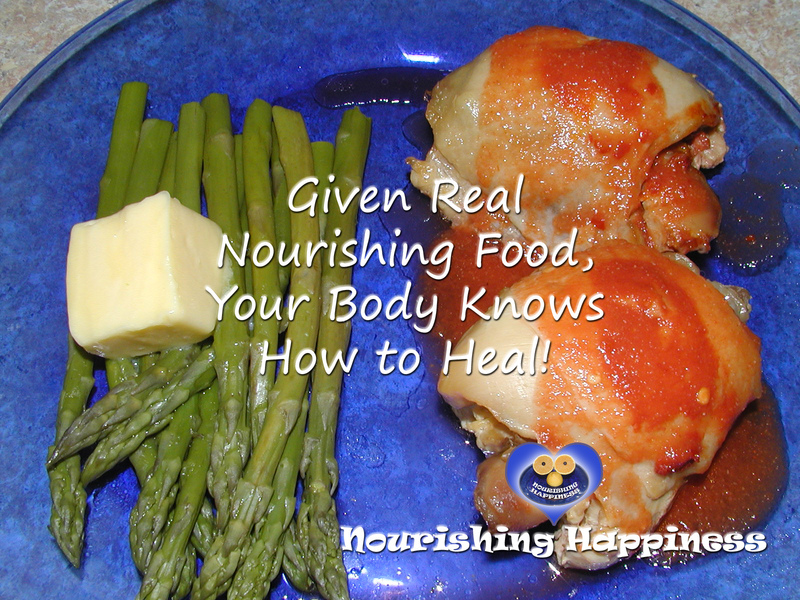 Given real nourishing food, your body knows how to heal! It’s simple! Remember MEFAVE and FAVE! DON’T: Relinquish your health to anyone. You matter! What you eat matters!